On October 11, I accidentally retweeted a @WordCamp tweet about WordCamp US tickets still available. I only verified the link later (bad, bad Birgit) to find out this was about WordCamp US 2016. (No one on Twitter sees you blush unless you post a selfie.) You can just undo the Retweet. Of course, I shared this bit in the #community-team channel on Slack. Turns out the volunteer who managed the Twitter account left, and everyone else was focused on something else. Andrea Middleton put out a call for volunteers to take over the Twitter account. I felt encouraged to raise my hand, and so did Laura Byrne Cristiano, Marketing Organizer of WordCamp US and Emanuel Blagonic, Co-organizer WordCamp Europe. Soon after that, we started a group discussion and came up with the cornerstones of a possible Twitter policy and process. This post is a summary of our discussion on this Google Document. 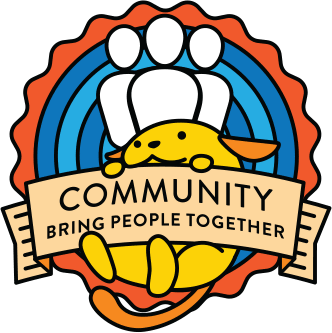 We now need input from WordCamp organizers and attendees, on how a Central WordCamp Twitter account can be used to give the most helpful support to local and regional WordCamps. We identified goals, target audiences, ideas for tweets and retweets. The strategy and tactics are not yet completely fleshed out. We also discussed tools and a few examples. We’d like your comment, thoughts, and concerns on this post by November 30th. With your comments, we can get a group together on Contributor Day at WordCamp US (Dec 3 – 9:00 – 5 pm) to work the first draft of policy & process. We will post our progress here for more comment. Also, we will be looking for more volunteers to participate, and flesh out the dos and don’ts of a WordCamp Central Twitter policy. If all goes well, we will start testing in January and February of 2018, then adjust and iterate according to the feedback. There was some discussion on how far we should include posts from the WordPress Global Community Team blog in the Twitter stream. Andrea pointed out that WordCamp organizers are not part of the target audience so content from the Make Blog might not be all that interesting. In general, 90 or 95% of the posts on the Make Blog are organizer-centric information. Once in a while, deputies post about Global Sponsorships, and latest numbers about WordCamps in general, which would be very interesting to be part of the Twitter stream. The WordPress Global Community Team doesn’t have a separate Twitter account, so @WordCamp would be the only place where we can tweet links to these posts. The fourth goal, “Help with Ticket Sales” would only come to pass, when a deputy mentoring the WordCamp(s) in question requests this Twitter support. And now to the fun part of this post! What should @WordCamp Central tweet? @photomatt when Matt Mullenweg tweets about WordPress and related. Allows for scheduling Tweets including pictures. Allows for multiple columns re: hashtags, Mentions, Twitter Lists. Need policy for team members permissions. We have a Sheet in GDocs with a list of WordCamps per month and columns of tweets we tweeted. Someone can prepare the tweets and schedule them using TweetDeck for example. It works like a charm. Anything else (like real-time tweeting when needed, someone asks to RT something) can be done with official Twitter apps. WordCamp Central already has a sophisticated notification system for organizers. It might be possible to tab into the resources there. Twitter to Google Sheets: Store all WordCamp tweets and retweets, for logging purposes and statistics. We would need to consider timezones. “Globally important tweets” might need to be posted more than once, over the course of a week or even day. We have not yet decided on what tweets actually ARE Globally important, though. We also might want to organize along the lines of different things on different days. For example maybe speaker selections opening on Mondays, Ticket sales on Tuesdays, etc. Even if the themes are just internally known to us it might aid structure and balance. We need some rotation, not only of topics but also how we want to work as team, per month, per week. morning midday night shifts. We should be aiming for as much automation as possible though otherwise this could be a full time job. Here are a few examples from WordCamp cheerleaders as to what kind of tweets you might expect from @WordCamp in the future. Anything missing? If you will be at WordCamp US Contributor Day, and would like to work on this, let us know, too. Leave your notes in the comment section! I’m super happy to see the Community Team think about Marketing. I will try to fit in some time to think about this and just let the Marketing Team know if you’d like our help. I’ll post this in our Slack Channel. @bridgetwillard would love some more input from you and the Marketing team. Thanks for sharing it. Did the Marketing team do some preliminary work on social media policies? We didn’t only because we didn’t have access to the account. But we’re here as a resource for y’all. This is awesome stuff. I love it! I could not agree more with the target audience ideas. I personally feel the highest goal should be to get new people to camp, which is why I am glad to see it at the top of that list. Hashtags are one of the key ways people discover Twitter accounts. If the intention is to grow the audience and make folks more aware of WordCamps then hashtags are important to include in the overall Twitter strategy. I suggest #WordPress and #WordCamp be on all original tweets from WordCamp Central. @kdrewien Excellent point! Yes, Hashtags are very important. Thanks for bringing this up! As I side note, we don’t have a hashtag for the Community team – I was always against WPComm and #WordPressCommunity was too long for the old Twitter. Now with 280 characters, it might just work. If any infrastructure is built, it should probably consider use-cases outside the wordcamp.org system like this one. @mrwweb I saw the ticket earlier today, yes it seems to be related. We would use any system if it were available. I don’t think we will have any developer resources available to discuss any tool being built for the initiative discussed in this post, though. I actually don’t have nothing to add at this point 😉 just an idea how to organize people managing the account. I believe a good approach could be to organize people in “continent teams”. WCEU has a year long communication team which takes care of all our accounts during a year (even when WordCamp Europe is over this team works for a period of cca two months until the new team gets selected). I suppose it’s not a problem to use our resources. The same could go for WCUS, right? And I believe there are people that can help us in Asia/Oceania, Africa, South America too? This way, each “sub team” could be responsible for “taking care” of their “local WordCamps” meaning not that much overlapping. It’s just an idea from an organizational perspective. So sorry I can’t make it to WCUS to work with all of you on this. Those are great thoughts. Thank you, Emanuel. We’ll miss you, of course! We’ll definitely check back with you! Ian and Corey already started adding their input. If the information gets onto central.wordcamp.org automatically, the link to twitter can be made very easily. Probably the current idea of ‘whatever gets published on https://wordpress.org/news/ gets tweeted on wordpress’ could be applied to central.wordcamp.org and @wordcamp as well. Count me in for any further actions! Hi Pascal! Thank you. Great minds think alike, ey? I looked at the ticket and add a comment there. @mrwweb mentioned it as well. We probably need to look at a larger set of notifications – not just call for speakers or call for volunteers. We might not need anything that’s public facing. There are some internal tools already in place for team members, we might be able to tap. Looking forward to a deeper discussion, though. We’ll keep you posted!